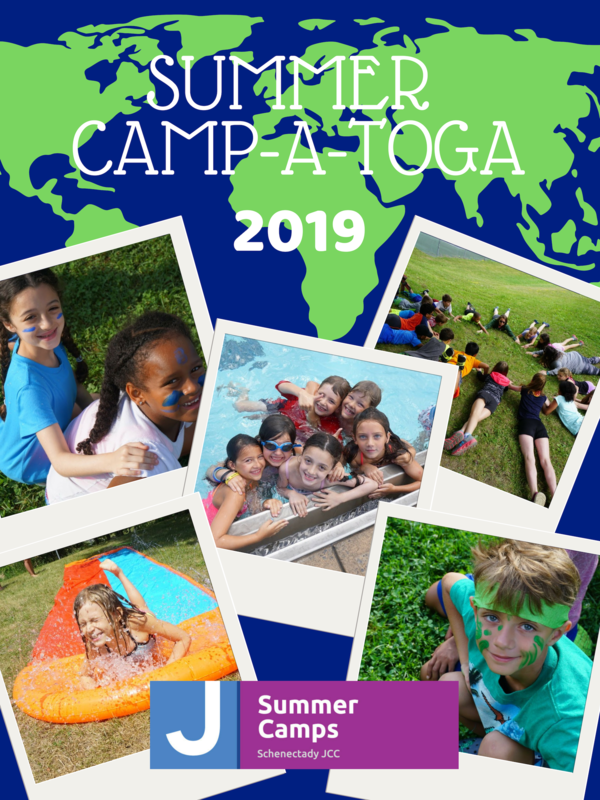 "Last year's Camp Chaverim experience at the Schenectady JCC was so much fun for our children- as they were able to do typical camp things, make new friends, enjoy being outside, go swimming, etc. but it was all steeped in Jewish values. Everyday the children would come home and share stories of new friends and caring staff. Jewish camp was such an important part of our childhoods, it was wonderful for our children to now have the experience for themselves. Having that Jewish summer camp experience gives you an instant bond with not only your peers, but the people of any age. Being part of this Camp-A-Toga effort has been so gratifying, it's been wonderful to see the response. The important lessons of Jewish Values and culture are seamlessly incorporated into all aspects of camp, so that everyone recognizes the value of and commits to tikun olam (making the world a better place)!" Enjoy what the Schenectady JCC has to offer without the hassle of transportation. Supervised transportation will be provided to and from the Schenectady JCC each day with pick up and drop off locations in Saratoga & Clifton Park. Transportation is included in camp fees. 688 Clifton Park Center Rd. 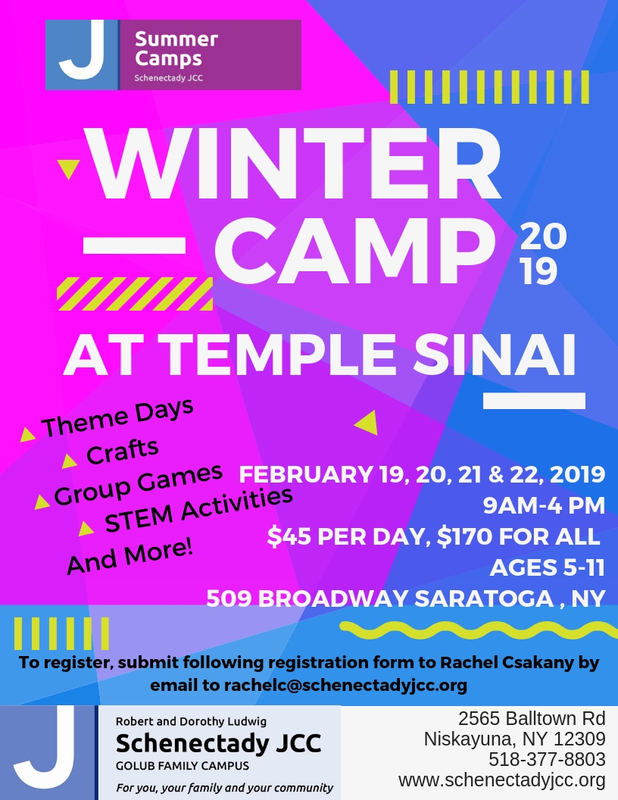 For more information contact Camp Director, Rachel Csakany at rachelc@schenectadyjcc.org. Want the chance to meet the Camp Director and have your child try out what the Schenectady JCC is all about in the convenience of your area? Check out our Winter Camp!